What a great day to scrap! And what's more amazing than scrapping with Shimmerz! 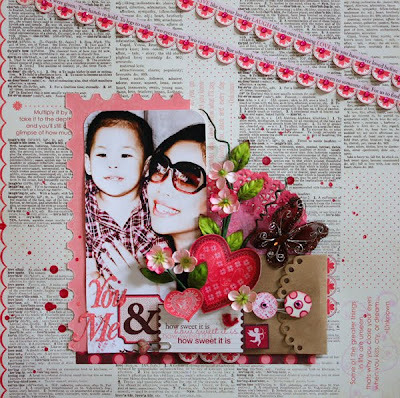 For today I would love to share with you a layout that I did using Making Memories Love Struck line and Shimmerz Paints. I am so in love with these two products together and had so much fun doing this layout. For my background, I added a few drops of Hottie Pink Blingz and some Glossy Accent. I love the tiny circles that it created. I also sprayed some Shimmerz Vibez and Spritz on the doily tissue paper. 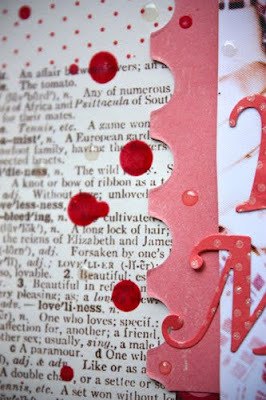 I love the combination Ruby Spritz and Red-y or Not Vibez. 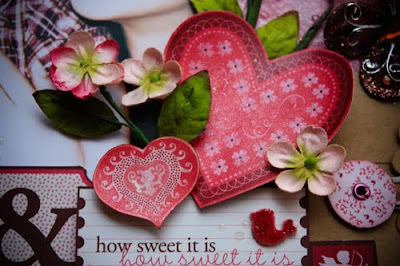 I also painted the hearts using Hottie Pink Blingz to add depth and sparkle to it. It's so cute. Words are so inadequate to express just how much I love this!! WOW! Another FABULOUS page!!! Great job. DELICIOUS WORK!! I love this LG! 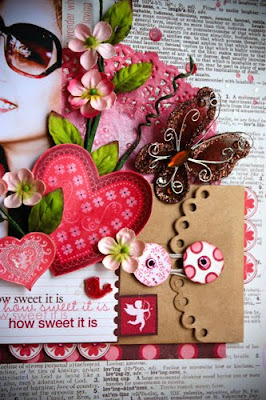 Love, Love, Love this page and the photo. Your details are operfect. Thanks for explaining how you created the page. So much eye candy! Beautiful!